Our team here at Mercantile Claims are always on hand to help you with any issues, concerns or questions you have regarding your timeshare contract. Below we have listed a selection of customer comments and Feedback from Westage Owners. If you have a more specific question please contact our team of experts and we will respond with an answer as soon as possible. I checked in with my girlfriend on Saturday of memorial day weekend. 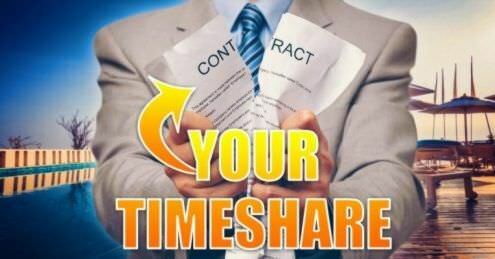 She is a timeshare owner for quite some time and doesn’t get the benefit or treatment she deserves. Every time she comes here she can never get the room she asks for as its never available even with reserving well in advance. When we came back to the room it still wasn’t working. They sent a guy over 15 minutes later to fix the keypad (which is odd because the other ley worked). The jacuzzi was dirty with hair in it which we ended up not using after we noticed it. We have been here for 4 days and were told our room would be cleaned on the 4th day but no one came after spending the day outside. I have not been to a hotel or resort where they don’t regularly clean or offer courtesy changes in towels, etc. The salesman trying to upgrade the timeshare told us this site had bowling which was a lie as its located in another site after we asked three different employees in the main building (two of them who had no idea the resort even offered bowling). Breakfast is not offered every day and there’s a lack of activities for adults (not so many for children either). I looked into the possibility of buying a timeshare but definitely not here and will have my girlfriend look into getting out of this one as soon as possible as she never gets what she pays for. Will not be coming back to this location nor any other Westgate properties. The Good: Lots of pools, Drew our pool bartender, Hershey ice cream sundaes, Draft’s Sports Bar, close to Disney. The Bad: Villa needs total renovation, found dead bugs in it every night, don’t think it was ever cleaned before we arrived. Employee golf carts are everywhere going 90 miles an hr all over and do not yield for you at all!! Waterpark is overcrowded, the lazy river had a bunch of kids in it pushing everyone. Daily events call was off by a day. WiFi is not free – really! Charged Resort fee! Cheapest and worst cleaning and paper products ever. Pool towels not provided at the pool are located in your room (found out the first day when we went to the pool and had to go back for them). Since owning timeshare for 22 years this has been our worst exchange and will never go back there. Unless you have kids and/or grandkids with you, the water park is not worth the money. The employees driving the golf carts need some training on speed limits and yielding to pedestrians, no one is pleasant nor acknowledges you, security lets anyone in without checking (we had friends come to visit and all they did was tell them our name and they said ok and opened the gate. Never looked at anything). In this day of age, they actually charge for wifi and a resort fee. 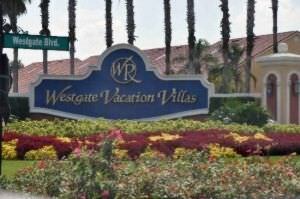 Vacation in WestGate Vacation Villas Kissimee. Read it !, It may help you avoid a bad experience. I have A LOT to say about this place but let’s make it short. Villas are beautiful, there is also a water park that you can enjoy while you stay and the pools are really clean. Also the activities and entertainment is great. Now, for the bad part. This has been one of the WORST guest service I have ever experienced. They won’t clean your room unless you ask for it and they WILL charge you for that. They have NO breakfast included. Just for owners. And the “continental” breakfast for owners it’s just a couple of bread and butter. They charge you for every single activity you want to do in the Villas and if you want to rent something. Let’s say a bike, you have two hours and if you run late you will be charged a $25 late fee. They literally charge you for EVERYTHING and they are zero guest friendly. I asked them to please lower the water temperature on the spa and three times they told me they would do it and they didn’t. Also their check in is at 4:00 PM !. And check out at 10:00 AM !. Or guess what, you’ll get charged !!!!. Surprised. NOT. In my opinion we as guest are the reason they are in business, Westgate your Villas are beautiful but you really DO need to improve your guest service experience. NOT coming back. Ever. The resort itself was beautiful. I can’t say the same for the disrespectful pressure tactics that we were given during our breakfast. We were told we had to sit during a presentation for 90 minutes. It turned into three and a half hours of hell. They tried to sell us a timeshare and after declining held us, hostage took another hour totalling three and had three other people try to pressure us into spending 46000 then dropped to 14 then offered us to apply for their card.. so disappointed they took from our experience. Also, you can NOT see fireworks swim park cost, WiFi is NOT free and I felt nothing more than uncomfortable. We made the best of the time but I wouldn’t recommend this to a dead person .. well then again I’m sure they had the time to waste. My wife and I wanted to surprise my boy’s with a short family vacation. We found Westgate it was inexpensive 2hrs from home cool. The Villa was nice. I really can’t complain about much. That presentation!!! They try to hold you hostage. But I’m smarter than that. I set my stopwatch for 90 minutes. Alarm went off and I calmly and very cool shut them down. You Can’t Close A Closer With That Weak Presentation!!! I definitely don’t need a Timeshare!! Won’t ever do that again. I’ll spend a “Few Dollars More” and really enjoy my 4 day 3 night vacation. Customer service here needs a lot of improvement. My family and I were walking to our unit after a 9pm movie and asked a worker on a 6 passenger cart to give us a ride and he said he couldn’t because it was time for him to go out the cart up. The washer and dryer in our unit is extremely old and looks terrible. As much as us owners pay in maintenance I’m sure Westgate can afford new washer and dryers. We were not put in unit we purchased. It’s dirty, old, unit wasn’t cleaned when we arrived, housekeeping refused to clean. We were put in very old unit and not newly built unit purchased in 2013. Owners complimentary breakfast and lunch were horrible. Hot dogs and pork beans for lunch. Only danishes, cereal, coffee, milk, muffins for breakfast. No protein! Is this how you treat owners?!!! Marijuana found in unit on patio and top of refrigerator and this is supposed to be a non-smoking room. We requested to be moved and still haven’t been moved. This is our 3rd day here. We are owners here but treated horrible. Worst customer service and accommodations ever! This 3 star resort is more like a 1 star because once you buy they treat you like crap. Promised to be moved and was not moved to new room/unit until we posted our bad experience on the Facebook page for Westgate Villas. Also, waited an hour to see a movie in theatre too then was asked to leave and rejoin line because they had no worker to verify cinema was cleared out before next movie showing.